Picture this: a heavy spring rain has just passed. The afternoon sun is just starting to return when all of the sudden you notice a puddle of water on your bathroom floor. You inspect the room and see there is a leak coming from the ceiling. This, of course, is not good news, and believe it or not, it’s something that homeowners routinely experience. Leaky roofs are one of the most common and costly issues homeowners face. Although this is common, it does not mean that you are powerless when it comes to your roof. 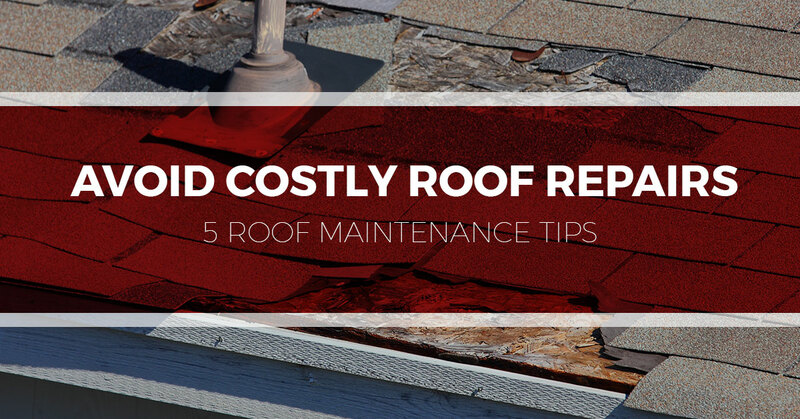 In fact, through simple routine roof maintenance, you can actually prevent a number of potential problems by catching them before they become big, costly problems. In today’s blog, we here at Tim Leeper Roofing would like to share with you some simple tips that can help prevent roof leaks from happening. Since 2004, our team of roofing professionals has been providing top-notch roofing services. This has earned us a reputation for being one of Nashville’s best roofing companies—in fact, we were recently honored by being named Mt. Juliet’s Best Roofer of 2018. This reputation is a badge we are proud to wear, and we plan on doing all we can to keep wearing it. Call us today at 615-553-2782 to learn more or to set up a roof inspection or repair. How are the areas around chimneys, skylights, and vents? While skylights and chimneys are beautiful features that bring us warmth and comfort and enhance our home’s curb appeal, they also pose a great risk for leaks. As a rule of thumb, if it pops through the roof, you need to inspect it regularly. These penetrating objects, like chimneys and skylights, are the most common source of roof leaks. When inspecting your skylight be sure that it is closed tightly and that the caulking and flashing are in good condition. The same can be said for chimneys as well. Sometimes the seal between flashing and shingles can open up, causing leaks, which can be remedied with some roofing cement and caulking. This type of issue is the perfect example of how early detection can save you money and time. Also, do not forget to inspect other penetrating architectural features like vents. How is the step flashing looking? Areas like dormers and roof-to-wall transitions are common leak sources. In these vulnerable areas, where roof surfaces join together, you should find step flashing—if not, you need to call a roofing contractor ASAP! If you haven’t checked out these areas in a while, be sure to do so. It is not uncommon for flashing to loosen, especially when you experience heavy winds and rains. If flashing is loose, you may hear it rattling during heavy wind gusts. When performing your roof inspection, make sure that—first and foremost—step flashing is installed and, secondly, that it is in good working condition and doesn’t need to be replaced. How is your drip edge? The drip edge, or sometimes called eave strip, is that strip of metal flashing that runs under the roof and along the eaves. It not only supports the part of the roof that extends past the roof decking, but it also directs rainwater and keeps it from running down the fascia board. Without a drip edge, water can seep in your home, causing wood rot and leaks, and insects and critters can more easily gain access to your home. Although a long-lasting vinyl coated aluminum drip edge is available, many homes are equipped with a drip edge eave strip that is made of a type of metal that doesn’t hold paint and will rust relatively quickly. For this reason, when performing a roof inspection, be sure to thoroughly inspect your edge strip. Locating issues quickly can save you costly roof repairs and even a full roof replacement. When is the last time you have inspected your attic? For obvious reasons, homeowners often assume that when there is a leak, the roof is the one to blame. This is not always that case, and it is important to note that issues in the attic can be key culprits, too. These issues might include any combination of the following: improper ventilation, condensation, vent fans, infestations, plumbing, and much more. When you venture into your attic—and hopefully you can venture and not have to climb over heaps of boxes and bags of clothes—be on the lookout for signs of algae, mold, wet spots, black rings, and pests. Also, check all vents for clogs. This simplest way to avoid these problems is to inspect and maintain your gutters at least twice a year. When cleaning gutters, be on the lookout for rusted spots, holes, improper sloping, broken hangers, and disconnected joints. Of course, this is not a comprehensive list, and if you want a comprehensive inspection, it is important to call a licensed roofing contractor. Similarly, as we always say, if you do not feel confident in your abilities or safety while performing roof maintenance, don’t attempt to do it yourself. Call a professional roofing company. Lastly, remember that your roof is not indestructible. Rather than looking at it like a big, sturdy tree in your backyard, see it instead as a machine, like a car, furnace, or appliance. Sure, it will likely work for a long time. However, it still needs routine maintenance, and the more regular maintenance you give it, the better the chances are that it will continue to excel at its function, keeping you safe and comfortable.